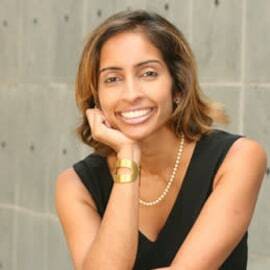 Anita Garimella Andrews is Director, Analytics Services at Magento, the leading multichannel commerce platform. In her role, she manages a practice dedicated to using data to drive the growth of some of the world’s most well-known retailers. Anita’s expertise includes data & analytics, B-to-B and B-to-C platforms, e-commerce, social gaming and viral metrics optimization, product management, online marketing, and social networks. She was Founder & CEO of Sepiida, an analytics and Internet marketing optimization company, whose clients included Zynga Games Network, Haymarket Media, and Coveroo. Sepiida was acquired by Delphic Digital in 2012. Prior to Sepiida, she ran Ecommerce at Nutrisystem, a $750 million subscription ecommerce business, and has held a variety of product and marketing leadership roles at successful start-ups in Silicon Valley, including at Ingenio which was acquired by AT&T. Anita holds a Master’s Degree in Computer Science from Stanford University. She earned her B.A. from New York University majoring in Politics with a minor in Mathematics. She is a founding Trustee of TechGirlz whose mission is to grow the role of women in technology by focusing on middle school-aged girls. She also serves on the boards of The Enterprise Center and Please Touch Museum. Anita won the Rising Star Award as a 2011 Woman of Distinction from the Philadelphia Business Journal. In addition, Sepiida was named one of the Top 50 Minority-Owned Businesses in Philadelphia in 2011.